Kavanaugh Accuser Getting Serious Cash from Allegations, Over $700k After Hearing | What Did You Say? 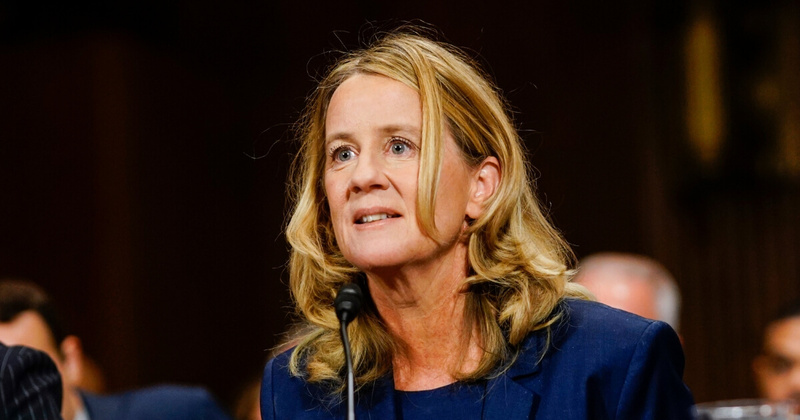 Brett Kavanaugh accuser Christine Blasey Ford has been making serious money off of crowdfunding since Thursday’s hearings, with nearly $700,000 from just two of 17 separate accounts on GoFundMe. “During Christine Blasey Ford’s testimony before the Senate Judiciary Committee, under questioning about how she was paying security and legal costs, Ford said some of it could be covered by GoFundMe accounts that have been started to help her,” MarketWatch reported Thursday. On the fundraising site, the Ford family said the money was necessary to counter the “right wing smear machine” and the “serious threats” it claims is directed at her. “This is all really expensive and she needs our help. We need to protect the voices of brave people who speak out – especially when they are part of our community,” the page reads. “Due to death threats, Dr. Christine Blasey Ford (who uses ‘Dr. Blasey’ professionally) and her family have had to leave their residence and arrange for private security,” the page, apparently created by a Georgetown professor, reads. “Let’s create a fund to cover her security expenses, to do just a bit to make it easier for women in her position to come forward despite great risks. If we raise more than Dr. Blasey needs, extra funds will go to women’s organizations and/or into an account to cover similar costs incurred in comparable situations. How the aim of this account differs from that of the official account is a mystery to me, but it’s certainly taken in a fair amount of cash. Of course, it’s not as if Ford won’t be needing money; since she came forward as the writer of the once-mysterious letter, a number of Democrat-linked heavyweights have entered her orbit. According to the Daily Wire, however, Ford doesn’t even know how to use the site. “I’m aware that there’s been several GoFundMe sites,” she said during her testimony.